Dr. George Gibson is the emergency department medical director at CHI St. Joseph Health Grimes Hospital in Navasota, TX. Dr. Gibson has served as an emergency physician in the Bryan-College Station area since 2014. Before practicing in Texas, Gibson worked as an emergency physician at Havasu Regional Medical Center in Arizona. A board-certified emergency physician, Dr. Gibson earned his bachelor’s degree with honors from the University of Texas at El Paso and went on to earn his master’s from the University of Texas Health Science Center San Antonio School of Public Health. He attended medical school at the Philadelphia College of Osteopathic Medicine and completed a transitional internship at Tempe St. Luke’s Hospital. Dr. Gibson was stationed for four years at Holloman Air Force Base, NM, where he was recognized as Flight Surgeon of the Year, before completing his residency training in emergency medicine at Arizona’s Kingman Regional Medical Center. 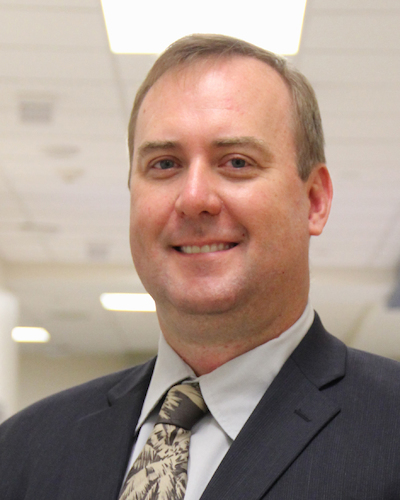 Dr. Gibson has served a member of the US Air Force Arizona Air National Guard, 161st Air Refueling Wing, where he was appointed Deputy Chief Aerospace Medicine in 2009. A Lt. Col. in the Texas Air National Guard, he currently serves as a flight surgeon with the 136th Air Mobility Wing in Fort Worth, TX. He also holds the title of Clinical Assistant Professor of Emergency Medicine from the Texas A&M Health Science Center. Dr. Gibson earned the rating of Divemaster in 2015 from the Professional Association of Dive Instructors and is an Advanced Trauma Life Support instructor. His professional interests include disaster medicine, aero-medical evacuation, tactical medicine, and hyperbaric medicine.